General der Infanterie Dietrich Hugo Hermann von Choltitz (German pronunciation: [ˈdiːtʁɪç fɔn ˈçɔltɪts]; 9 November 1894 – 4 November 1966) was a German career military officer who served in the Imperial German Army during World War I and the Wehrmacht during World War II. 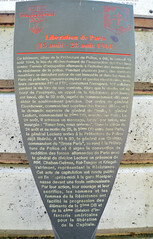 He is chiefly remembered for his role as the last commander of Nazi-occupied Paris in 1944, when he disobeyed Hitler's orders to level the city, but instead surrendered it to Free French forces. He was hailed in many contemporary accounts as the "Saviour of Paris" for not allowing it to be destroyed. 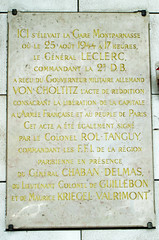 Choltitz later asserted that his defiance of Hitler's direct order stemmed from its obvious military futility, his affection for the French capital's history and culture, and his belief that Hitler had by then become insane.